Introduction: The first step for cost-benefit analysis and cost-effectiveness and ultimately to formulate the operational budgeting is cost analysis. The aim of this study was to evaluate the cost of kidney dialysis services in hospitals affiliated to Kurdistan University of Medical Sciences in 2016. Methods: This cross sectional study was conducted on 9 dialysis clinics of hospitals affiliated to Kurdistan University of Medical Sciences in the first half of 2016. In each hospital all dialysis cases were selected by census method. The costs were included personnel costs, medication, medical supplies, filters, solvent and powder, consumables and energy carriers. Data collected from documents available in the hospital information system (Ghasedak). Data was computed and presented as the mean and absolute numbers using Microsoft Excel software. Results: In terms of dialysis clinic gross income per the number of active hemodialysis beds Dehgolan dialysis center with 656205 thousand Rials had the highest income and Qorveh dialysis center with 296216 thousand Rials had the lowest. The average income per dialysis session Bijar dialysis center with 3033 thousand Rials had the highest income and Tohid hospital dialysis center with 1500 thousand Rials had the lowest. Average personnel payment per dialysis session in Kamyaran dialysis center with 621 thousand Rials had the lowest and Bijar dialysis center with 1317 thousand Rials had the highest payment. In terms of medicine and supplies Divandareh dialysis center had the highest and Boali hospital dialysis center had the lowest. Calculating cost-income per each dialysis session showed that Tohid hospital, Saghez, Divandareh and Dehgolan dialysis centers were losers. 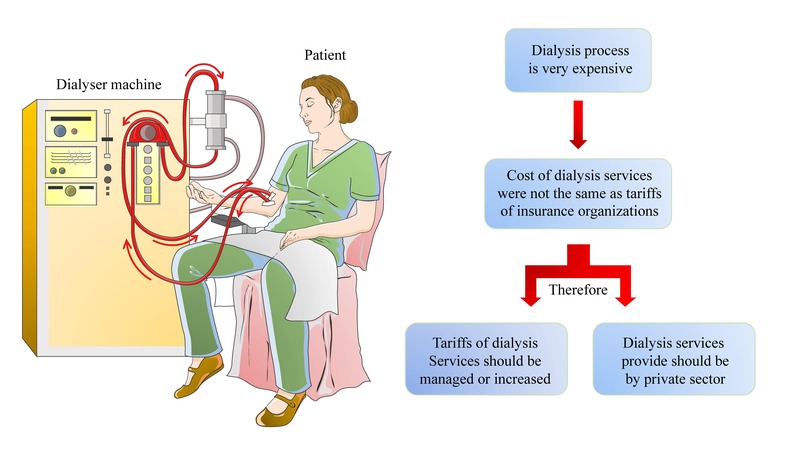 Conclusion: The cost of dialysis services in the dialysis centers of hospitals affiliated to Kurdistan University of Medical Sciences were not the same as tariffs of insurance organizations. Therefore the tariffs of dialysis services in the dialysis centers of hospitals affiliated to Kurdistan University of Medical Sciences should be managed or increased or the dialysis services provide by private sector. Karimi I. 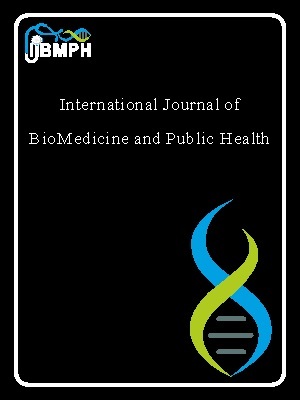 Health economics book (second volume). Gap publication; 2005.p. 5-32.